Soft neutral baby pinks are the perfect complement to any spring look. Stretched with matte textured faux leather, this classic shape is a must-have to hire. Gold hardware adds a luxurious touch with a signature Olga Berg clasp. A shoulder chain allows for ease of wear and can be neatly tucked away inside when not in use. 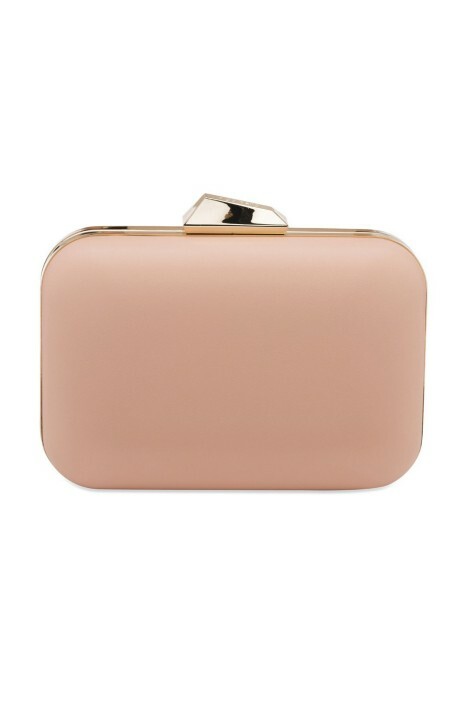 Rent this gorgeous clutch to accessorise your look. Pair with an ice blue dress, or add a subtle hint of colour to an all white ensemble. Read our blog post for our accessory style guide.